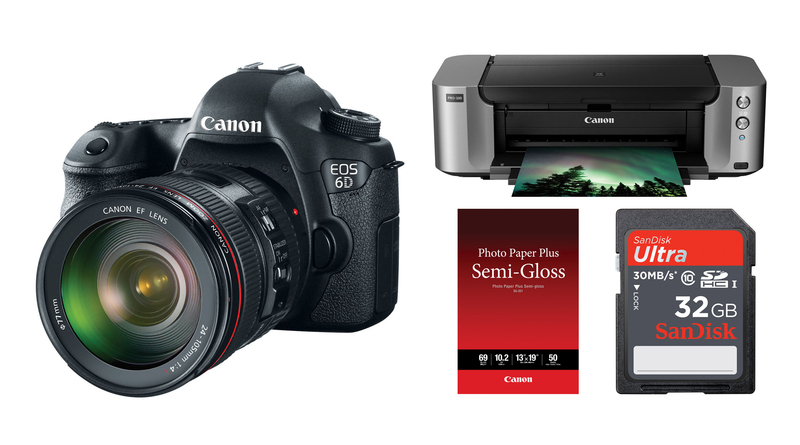 Hot Deal – Canon 6D w/ 24-105mm + Pixma Pro-100 Printer + More for $2,099 ! B&H Photo Video has a deal on Canon EOS 6D. This is a great deal from B&H Photo Video. Regular price for Canon EOS 6D w/ 24-105mm lens kit is $2,433.00 at Amazon.com, B&H Photo Video and Adorama.com.